There’s a common misconception about a “trattoria” and an “osteria” being sort of the same thing. So let’s try to clear that up! Osteria, Trattoria, Enoteca. What’s the difference? There’s a common misconception about a “trattoria” and an “osteria” being sort of the same thing. In fact, there are many Italian people who can’t tell the difference themselves. After all, they’re both restaurants, aren’t they? Well, not quite. So let’s try to clear that up! An osteria, traditionally, is a place where you’re served wine. You might be served, in some cases, some snacks and other beverages, but really it is mostly just wine. 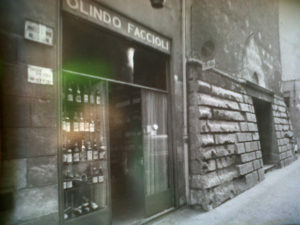 So if you go to Osteria del Sole, the oldest running osteria in Bologna which has been around since 1465 (crazy, right? ), you’ll have to bring your own food as you can only order from a wide selection of wines and beers. A trattoria, on the other hand, is an actual restaurant. The name comes from the French word “traiteur” which derives from “traiter” and respectively mean “host/caterer” and “to treat”. A trattoria is not a generic restaurant though: it always serves or is supposed to serve, traditional local food. So be careful about choosing the right one! 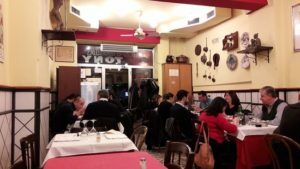 Nowadays the terms are widely misused to refer to a traditional local restaurant; nonetheless, there is, or at least was, a big difference between the two. On the other hand, an enoteca is a completely different thing! 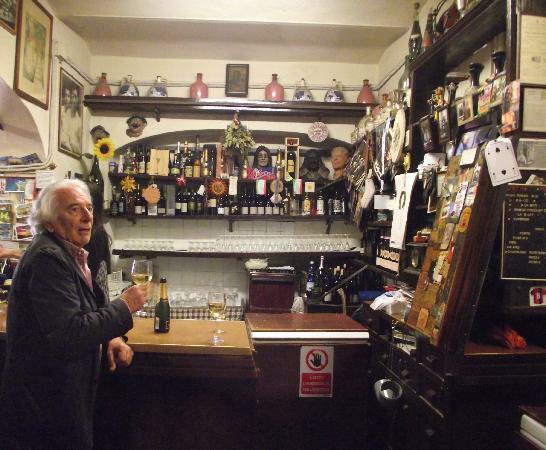 That is, traditionally, the place you go to in order to buy wine or have tasting sessions. An enoteca, which might also serve snacks and local food to go with the wine, is the keeper of ancient traditions and excellence where each area stores its best and most typical wine. You can go there, taste different regional wines, see which one you prefer, and bring it back home with you, perhaps with some good cheese, or cold cuts. So there you go! Now you know what to expect when entering an osteria, a trattoria and an enoteca. We highly suggest you try all three of them during your stay in Bologna, in order to fully enjoy the food and wine experiences of our beautiful town! Why is a food tour a great experience? Crescentina : What is it?